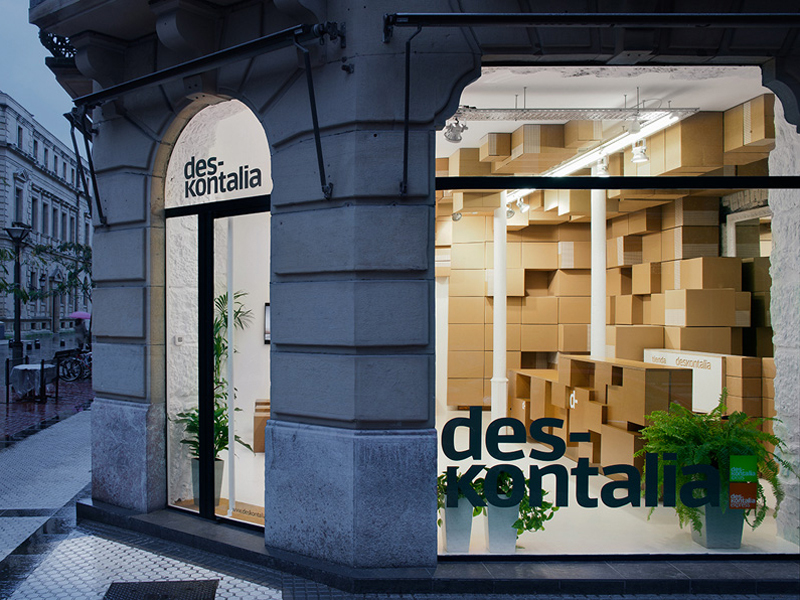 Spanish architects VAUMM designed a cardboard-inspired store for the discount coupon website Deskontalia. Customers visit the physical store to pick up their internet orders and also discover the latest discount offerings. VAUMM had to create a strategy to that would give an empty room a feeling of commercial activity. 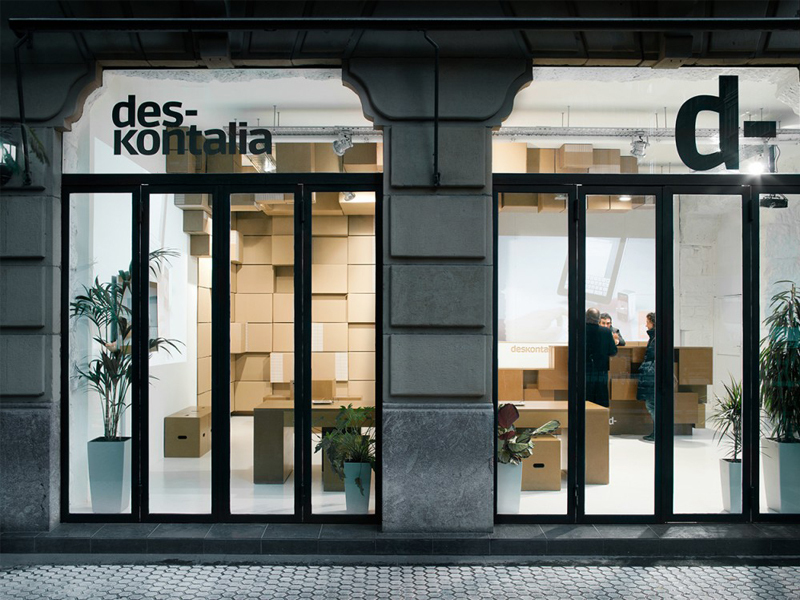 They found inspiration in the cardboard boxes used for shipping the Internet purchased products and devised the store’s decorum with cardboard-like furniture and shelves. This latest manifestation of the merging of online with the physical is evidence that the traditional “store” is undergoing a dramatic change...world wide. The store front will either morph into a local distribution point or disappear altogether. 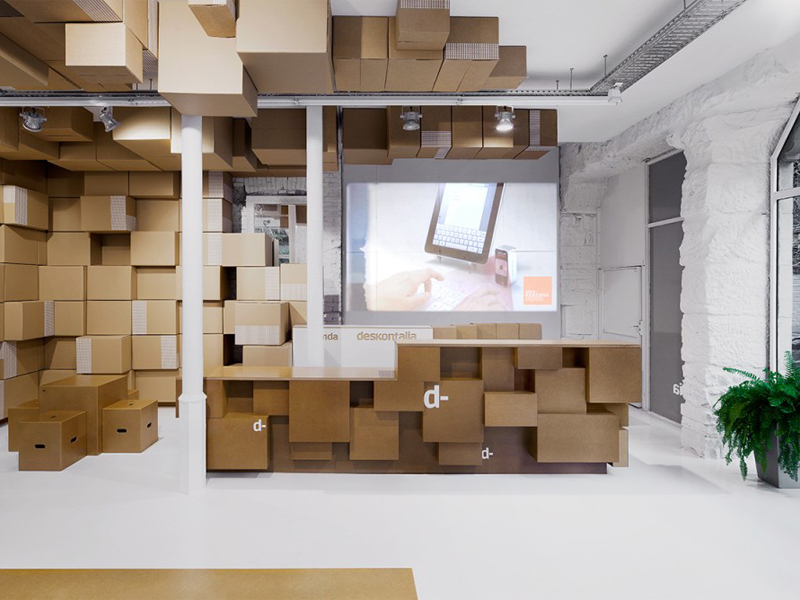 E-Commerce is not only transforming the physical store, but packaging as well. 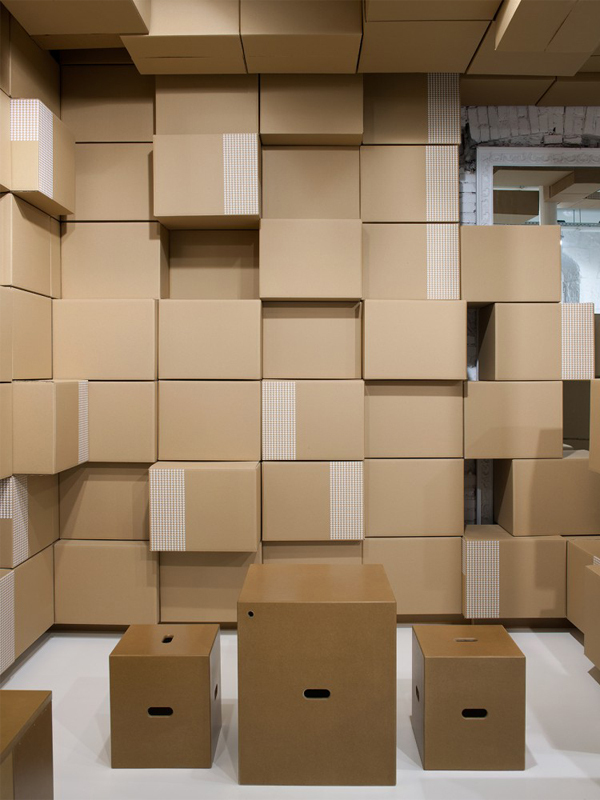 No longer will enticing product packaging be designed for on-shelf display, but form will follow function as packaging evolves to meet the new demands of shipping directly to the end consumer and their experience of receiving the product at home. Source: Deskontalia Store / VAUMM" 08 Feb 2013. ArchDaily. Accessed 23 Feb 2013.